In 2013, mortgage consumers are smarter than ever, but they still value good advice. That’s an important takeaway from CMHC’s latest Mortgage Consumer Survey, which breaks down their behaviour and tendencies in detail. Last year it was 71%, with the same wording in the survey question. There is no way consumers are using the Internet less in their mortgage research. A spokesman at CMHC was unable to explain this result. 84%: of consumers searched online for interest rates. Is it any wonder that so much is being invested in rate comparison sites? 63%: of consumers searched online for information about mortgage options. 56%: of mortgage consumers who went online were searching for a mortgage calculator. 4.6: The average number of visits to sites of different lenders. lenders that were contacted to learn about mortgage options. that were contacted to learn about mortgage options. As rate comparison sites evolve, we’ll see this number rise. information obtained from lender sites useful. information obtained from broker sites useful. 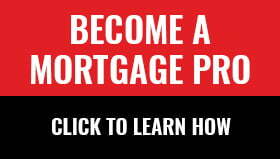 who went online for mortgage information used a mortgage calculator. a calculator from a lender website. a calculator from a broker site. With a few exceptions, lenders generally have more developed and unique mortgage calculators. Moreover, lender calculators rank better in Google. calculators to determine the amount of their mortgage payments. compared two or more mortgage offerings. how much mortgage they could afford. 23%: of all consumers used a broker in 2011.
are handled by mortgage brokers. Last year it was ~20%. 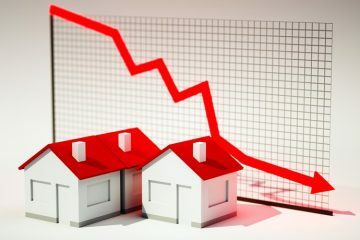 With lenders getting aggressive on renewal pricing and contacting people four to six months before maturity, this number won’t get much higher. lenders said they did it to obtain a better interest rate. 68%: of repeat buyers said they would remain loyal to their lender. 68%: of refi consumers said they would remain loyal to their lender. 54%: of first-time buyers said they would remain loyal to their lender. In a commoditizing market, loyalty is becoming harder to earn. their mortgage directly with their lender were satisfied with the experience. they were likely to recommend their broker to a family or friend. professional to arrange their next mortgage transaction. receive this kind of advice “totally agree” that they’d use the same mortgage professional again. In an online world, advice and relationships still matter, and this proves it. But we’ll see advice and relationships delivered differently as the Internet mortgage market evolves. What a shockingly low number. Follow-ups after closing should be standard procedure to answer client questions, put a client’s mind at ease (that they’re not alone), thank them for their business and ask for referrals. 36%: used a calculator to determine how much mortgage they could afford. I think those calculators are contributing some to irresponsible borrowing. According to those calculators we can “afford” a million dollar house. That would be a truly awful financial decision, but hey, I can afford it apparently. What is irresponsible borrowing? How do you define it? Any institution that doesn’t contact it clients after closing should fire its servicing managers. Inexcusable. So what is your solution? Ban mortgage calculators?